Whether on the bike, in the office, or working outside, hydration is crucial for the cyclist. It’s obvious why it’s so important when riding. But, do you realize that chronic day-to-day dehydration can also have a huge effect on your ride? Dehydration can be the source of fatigue, headaches, digestive issues, and more. It also puts you into a hole going into your ride…one you’ll likely not crawl out of while riding. This week, we have 6 great ways to keep you hydrated on and off the bike. Of course, plain ol’ water is great for you and works well as a hydrator. But, you can also add benefits by adding the juice from a lemon to your glass of water. 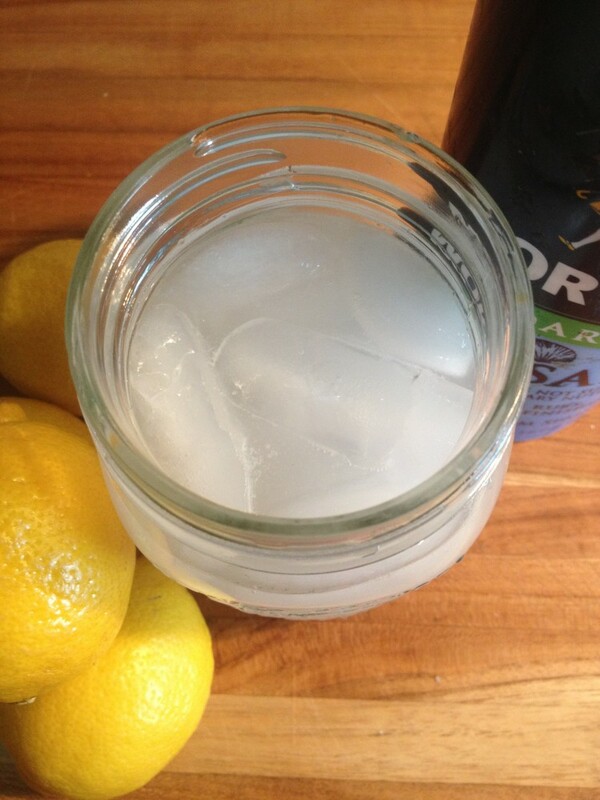 Lemon juice is a great source of vitamin C, a powerful antioxidant, and it’s makes for a refreshing drink. You can step it up a notch for a pre-ride drink by adding raw agave or honey, and adding sodium (see Sodium Pre-Load). Alright, I don’t expect you to drink this all day long. It’s a tough one. It takes some motivation, and maybe even a plugged nose. But, a one-glass-per-day health tonic regimen can certainly deliver less colds, less sinus problems, potential fat loss and all the plentiful benefits of raw apple cider vinegar. Start the day with a mix of 16 oz. water, 1 Tbsp. raw apple cider vinegar, and optionally, 1 Tbsp. fresh grated ginger (1/4 tsp ground), 1/4 tsp. ground cinnamon, and 1 pinch cayenne pepper. It’s loaded with anti-inflammatories, antioxidants, and the magic of ACV – not convinced? Read all about it here. The benefits of green tea are vast. They include super cell-protecting antioxidants, antibacterial properties, cholesterol plague reducers, nutrients that promote eye health, and even metabolism boosters and extra fat burn! To make a refreshing summer green tea, brew the tea and add fresh ginger and frozen berries. For more in-depth information and instructions, click here. Or, simply make lemon water using green tea in place of water. Either way, you’ll be refreshed, hydrated, and overflowing with antioxidants. 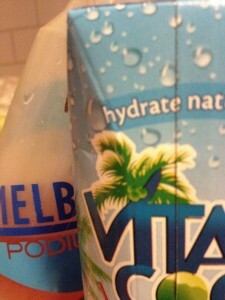 Keep it natural with a carb-enhanced, sodium-loaded coconut water sports drink. Simply mix 16 oz. coconut water, 5 oz. 100% juice, and 1/8 tsp. sea salt. Drink 18-24 oz. per hour. You’ll get an all-natural drink with the right amounts of carbs and sodium. And, it’s nice and refreshing, too. Whether your goals are fat loss (less carbs on the bike), performance (more carbs on the bike), or a mix, you can find and make a great, simple Homebrew Sports Drink with these options. You can also customize it based on your own sodium and carb needs – talk about a custom brew! You’ll mix water, sugar, flavor (options from lemon juice to Koolaid packets), and salt to start. Then, pimp it out as much as you’d like. To me, strawberry milk says 2 things: childhood and summer. 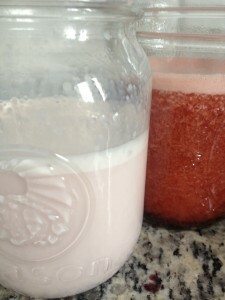 I’ve brought it up to adult standards with this homemade, real-food strawberry syrup – it may even have chocolate lovers putting down the chocolate milk recovery in favor of strawberry. You’ll find the full recipe here. Enjoy it and recover well! If you already drink enough water each day, that’s great. If you’d like more variety, look no further than our Hydrators. Every day, before, during, and after your ride, hydration is crucial. It can make or break your health, your mood, and your ride. For a quick rule of thumb, I recommend most athletes drink 64-80 oz. per day to start. Then, drink 18-32 oz. per hour of training, including before, during, and after, aiming for 18-24 oz. per hour on the bike. For a more precise estimate of how many ounces you need per hour, try weighing yourself immediately before and after riding – each ounce lost should be counted as a loss in fluid. Make sure to take into account the amount of fluid you drank during the ride, and calculate your needs. Then, aim to drink at least 75% of your hourly needs on the bike and the remainder afterwards. No matter what you choose, make sure to hydrate. I recommend hydrating to a schedule, not to how you feel or even thirst. These can be deceiving, schedules can get busy, and it can be time to ride before you’ve even had a chance to get a cup down for the day. Don’t let it happen to you. Instead, drink up, early and often!